Even though we are surrounded by beautiful plants all day, we can't help choosing favorites each season. Come in and tell us about your growing conditions (sun, drainage, other plantings) and we'll help you choose the plants that are right for your Virginia gardens and containers. Read about annuals, herbs, hostas, and perennials. Annuals are garden plants that give you all their glory in their first year. They may live for several years in another climate, but here they generally last just one year. Why use them? 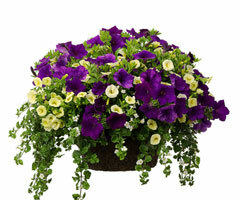 Annuals provide an instant pop of color and usually cost less than perennials. In addition, most will bloom all summer long, giving you lots of nonstop color. Click here for our favorite annuals. Herbs are so versatile! They add beauty to our gardens and containers and they can add flavor and creativity to our food. 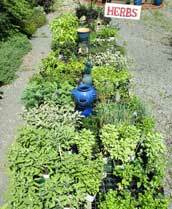 We offer culinary herbs, bug repellent herbs, scented herbs, and more. Great for gardens and containers. Keep a pot of fresh herbs in your kitchen! Yes, hostas are perennials, but they are so hardworking, they deserve their own page! Plant these reliable specimens once and they will come back every year, providing texture, color, and a wonderful backdrop for your annuals and other perennials. 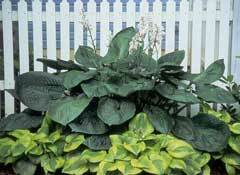 Click here for our favorite hostas. Perennials are plants that will return each season, living year after year. Why use them? Perennials are helpers in your garden. Once you plant your perennials, they will come up each year without the work and expense of shopping and planting. In addition, perennials provide a structure for your garden so that you can showcase annuals, containers, or your favorite yard art. Once they are established, some perennials will grow large enough to divide, giving you a new plant for somewhere else in your yard. Come on in and we'll show you how. 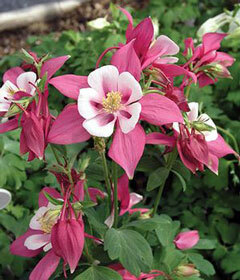 Click here for our favorite perennials.